What’s the Stem Cells Buzz this Week? - Immunomodulatory MSCs, MSC Single-Cell Transcriptomics, OSC-mediated Facial Nerve Regeneration, and Islet Transplant in T1D! 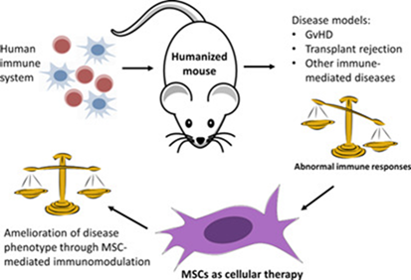 Contradictory clinical trial data and our incomplete grasp of immunosuppressive mechanisms represent significant obstacles in the widespread therapeutic application of human mesenchymal stem cells (MSCs). Now, a review article from the lab of Vera J. Mehler (NIBSC, South Mimms, UK) discusses humanized mice as a tool to develop a better comprehension of the mode of action of MSCs in mitigating the immune response in an in-vivo environment that closely resembles human immunobiology. This new STEM CELLS article describes how greater understanding may enable and encourage more studies employing humanized mice to investigate the immunomodulatory features of MSCs. 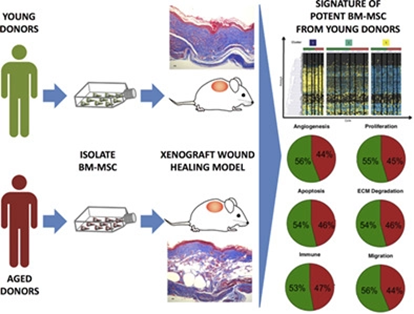 In order to better understand the age‐related impacts on bone marrow‐derived mesenchymal stem cell (BM‐MSC) function, researchers from the lab of Geoffrey C. Gurtner (Stanford University, Stanford, California, USA) compared wound healing in a xenograft model. Khong et al. discovered that younger BM-MSCs displayed higher expression of genes involved in tissue regeneration and this encouraged more rapid wound healing. Furthermore, this new STEM CELLS study also identified a unique, quiescent subpopulation exclusively present in young donor cells. Overall, the authors highlight a novel mechanism for the enhanced healing capacity of young stem cells, a finding that may have implications for autologous cell therapy in the elderly. 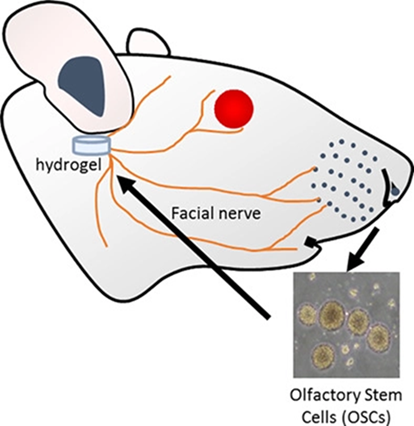 Researchers from the lab of Shinichi Esaki (Nagoya City University, Aichi, Japan) recently set out to test the ability of gelatin hydrogels to aid olfactory stem cells (OSCs) to treat facial nerve palsy. Reporting in STEM CELLS Translational Medicine, the authors discovered that cotransplantation of OSCs with a biodegradable hydrogel sponge enhanced peripheral nerve function and increased the number of regenerated nerve fibers in an established facial nerve palsy mouse model. The team anticipates that their research will aid the application of human OSCs as a means to accelerating recovery after facial nerve injury. By examining data and patterns in registered clinical islet transplant studies for the treatment of type 1 diabetes (T1D), a team led by Marie Csete (Caltech Medical Engineering, Pasadena, California, USA) hoped to extract insights to apply in the design of a pluripotent stem cell‐derived islet therapy. In their new STEM CELLS Translational Medicine article, Welsch et al. report that while stem‐cell derived islets display the potential to treat a broader range of patients with type 1 diabetes than can be treated with current clinical protocols, the immunogenicity of allogeneic islets and the choice of optimal sites for transplantation remain open questions.